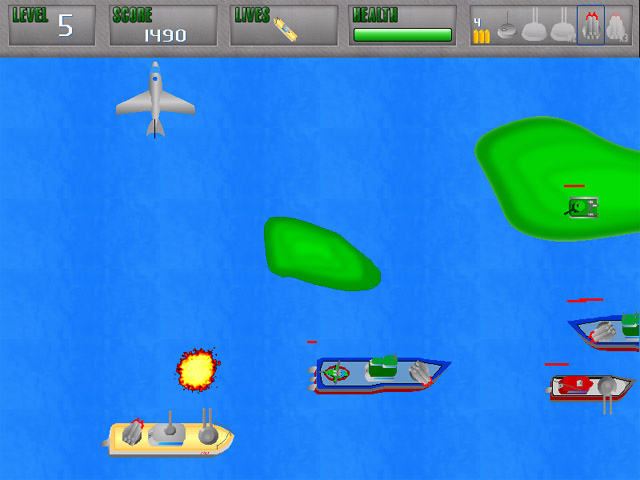 Rule a warship and neutralize the threat of terrorists by providing safety in the shipping routes.Blow terrorists away!Terrorists are hiding on the islands and coincidentally merchant ships are missing. Neutralize the threat! 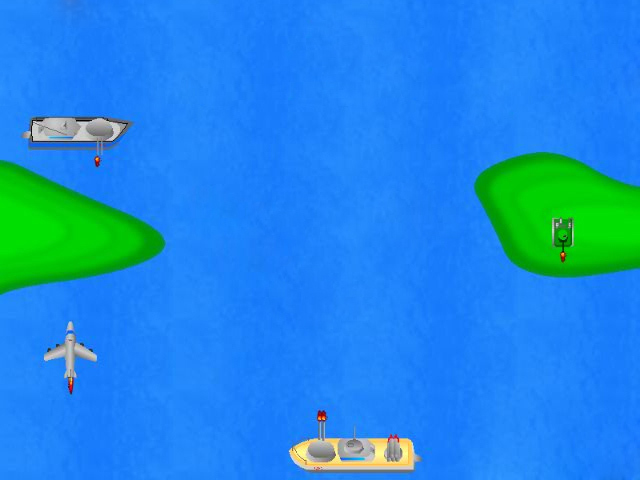 You must make the shipping routes safe by utilizing a warship at your disposal. 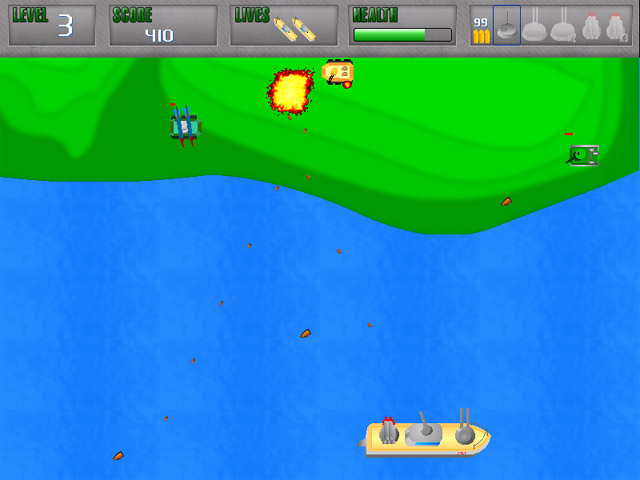 Get supplementary weapons by gathering additional objects. 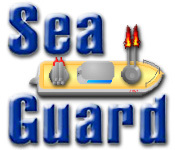 Destroy the terrorists by building your best Sea Guard.